Whether you are teaching classes, have a professional troupe, or you simply need to upgrade your current space, we have custom ballet barres that will make each performance its best in Sydney. Does your performance venue house professional dancers, and you need custom ballet barres to enhance their rehearsal space? Are you looking for solutions as you take your show on the road, and a portable ballet barre would be the perfect option? At Specialty Theatre, we are proud to offer a comprehensive selection of stage and theatre equipment to meet your needs in Sydney, New South Wales. Whether you are teaching classes, have a professional troupe, or you simply need to upgrade your current space, we have custom ballet barres that will make each performance its best. 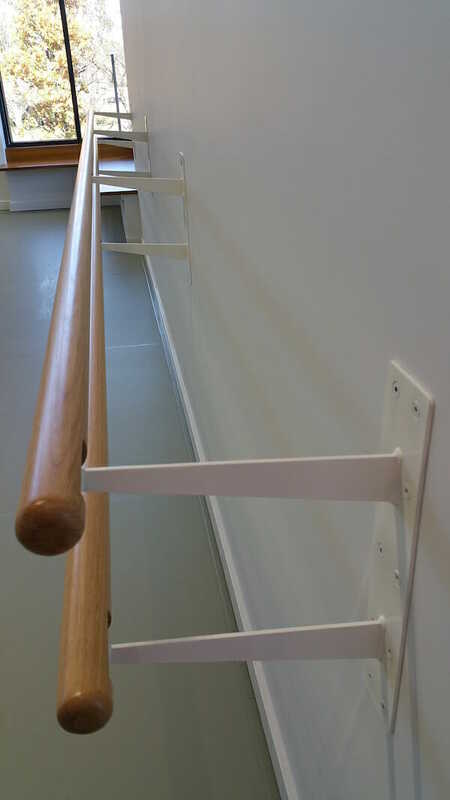 Not only do we offer professional ballet barres that can be installed at your venue, but we also offer a range of equipment from wall- and floor-mount brackets to timbre barre that can be cut to length. You can get the custom ballet barres you need to perfectly match your space restrictions while still providing adequate rehearsal and performance areas for your dancers and other performers. Additionally, we carry portable ballet barres that make rehearsing and performing on the road more efficient. If you have questions about our custom ballet barres or would like to place an order, please contact us at Specialty Theatre today for more information. We can also discuss our excellent theatre services that make each and every performance delightful for your audience night after night. Putting on a great show is easier when you have our team at Specialty Theatre ready to assist you. We look forward to talking with you soon.